ConceptDraw DIAGRAM diagramming and vector drawing software extended with Mac OS User Interface Solution from the Software Development area is a powerful Mac OS GUI Software. 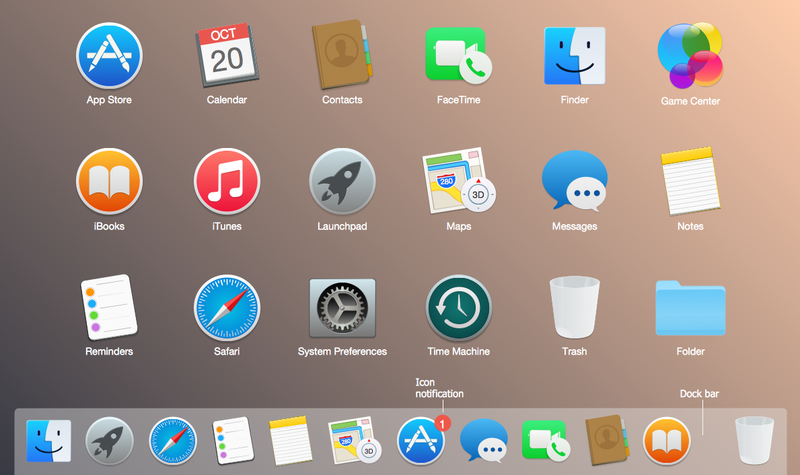 Mac OS User Interface Solution provides powerful vector drawing tools, Mac OS user interface design examples, and 6 libraries with wide variety of vector objects that will help you design the user interfaces of any complexity for Mac OS X 10.10 Yosemite. 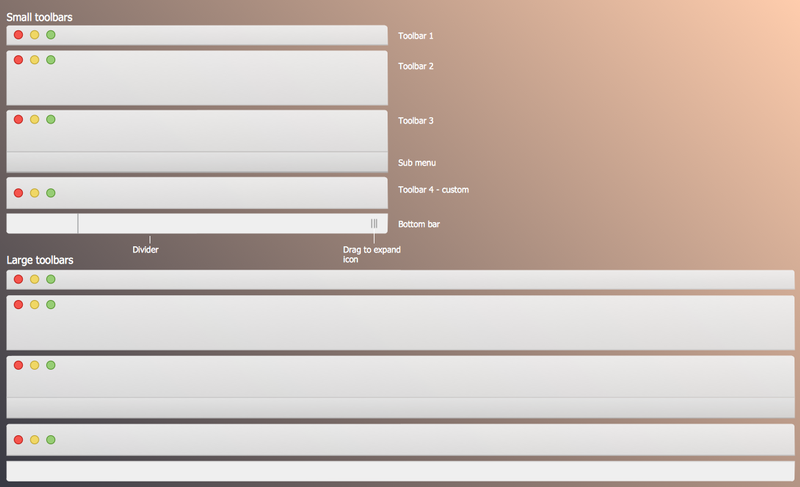 Drawing the Mac OS User Interfaces was never so easy and quick than now with ConceptDraw DIAGRAM Mac OS GUI software. 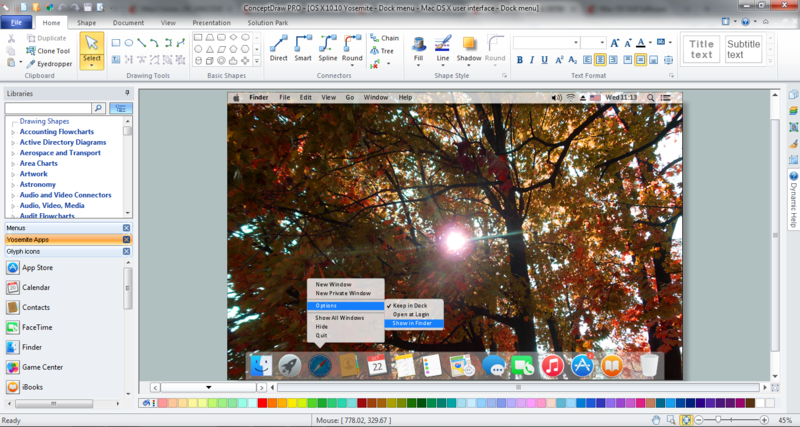 It's incredibly simple to drag already predesigned objects from the libraries of Mac OS User Interface Solution for ConceptDraw Solution Park and quickly arrange them to design professional looking GUI interfaces for Mac OS X 10.10 Yosemite operating system. 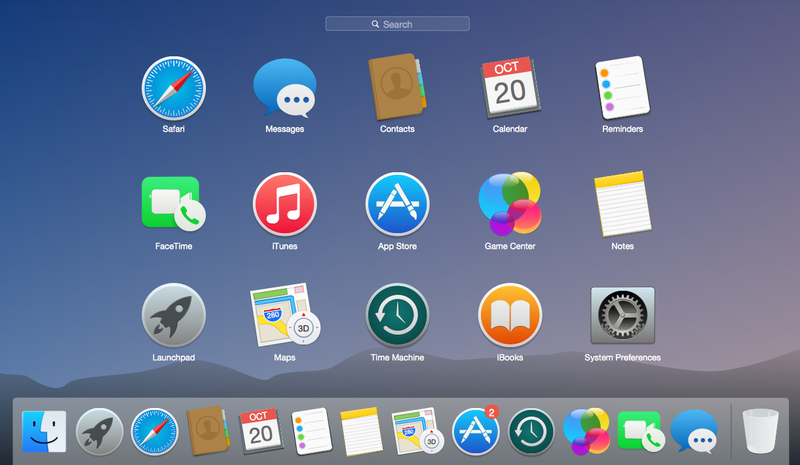 Mac OS User Interface Solution offers also wide gallery of samples and templates of OS X 10.10 Yosemite user interfaces created specially to lets you the possibility design your own Mac OS GUI interfaces in a few minutes. For this choose the desired sample in ConceptDraw STORE and change it for your needs, or open the predesigned template and fill it. 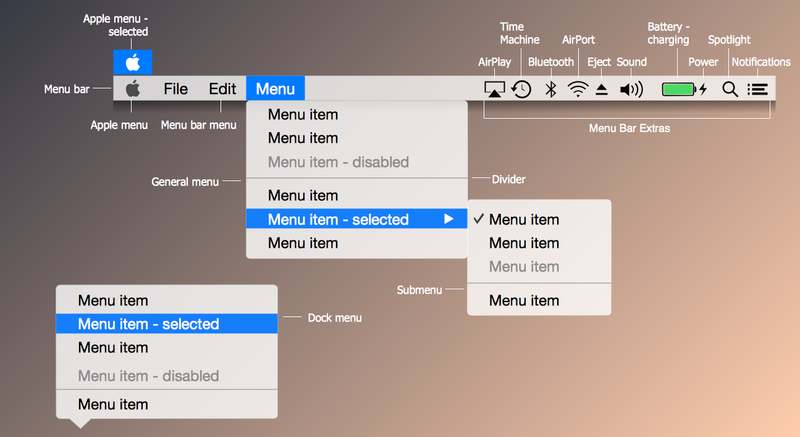 You don't need to be an artist to draw professional looking Mac OS GUI interfaces in a few minutes. 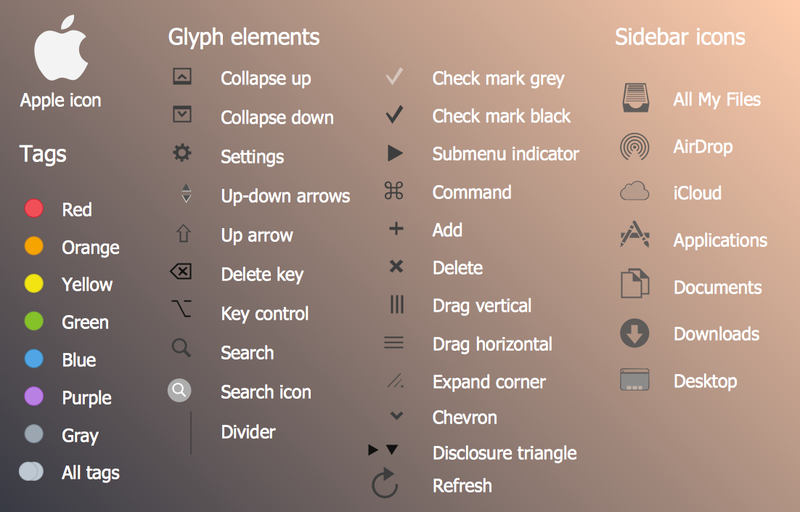 Large quantity of ready-to-use vector objects makes your drawing GUI interfaces for Mac OS quick and easy. 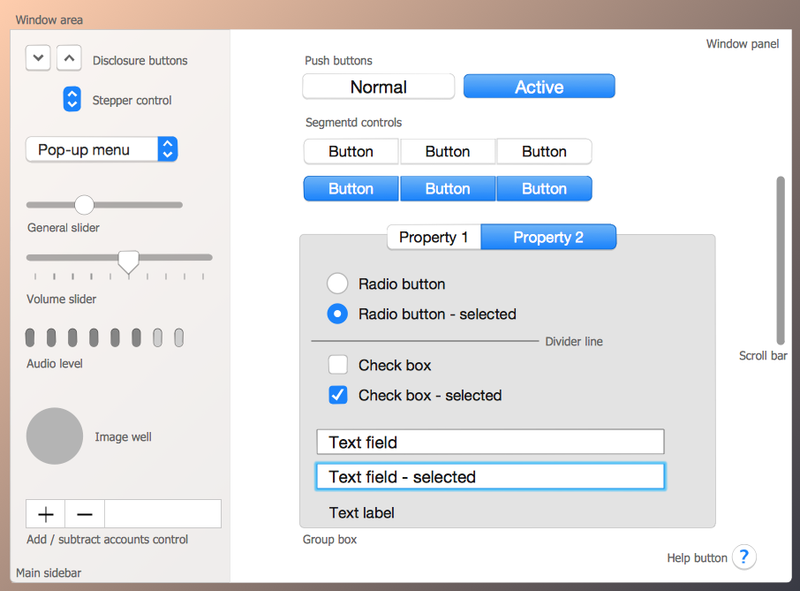 Great number of predesigned templates and samples give you the good start for your own Mac OS GUI interfaces. ConceptDraw DIAGRAM provides you the possibility to use the grid, rules and guides. You can easily rotate, group, align, arrange the objects, use different fonts and colors to make your GUI interface exceptionally looking. Use Software Diagram Templates from the solutions of Software Development area for ConceptDraw DIAGRAM v12 to create your own professional looking Software Diagrams in minutes. The Software Diagrams designed with ConceptDraw DIAGRAM v12 are vector graphic documents and are available for reviewing, modifying, converting to a variety of formats (image, HTML, PDF file, MS PowerPoint Presentation, Adobe Flash or MS Visio XML), printing and send via e-mail in one moment.